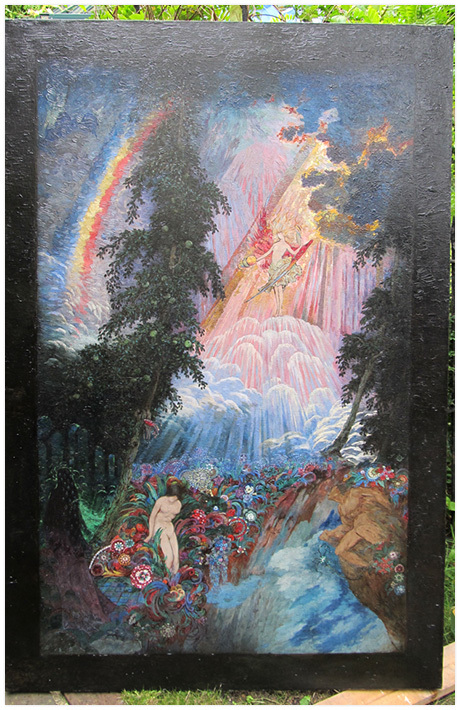 This painting (below) from the Sidney Sime Collection in Worplesdon is titled "Mysterious Landscape". 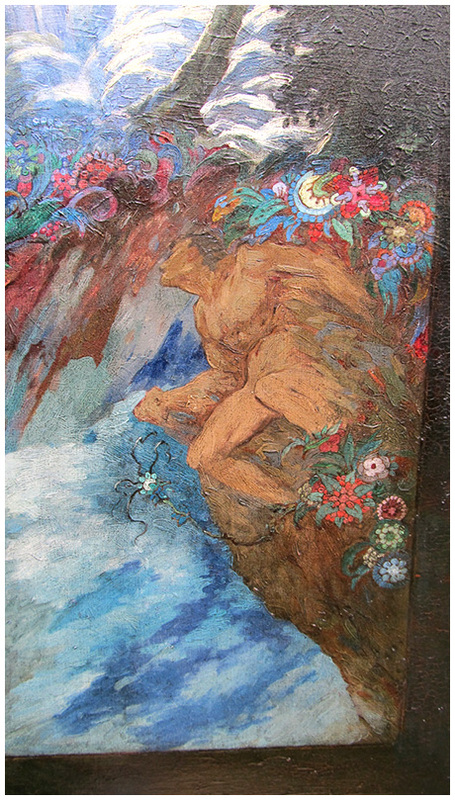 The painting has been restored to its original vibrancy of colour by removing old varnish and cleaning. 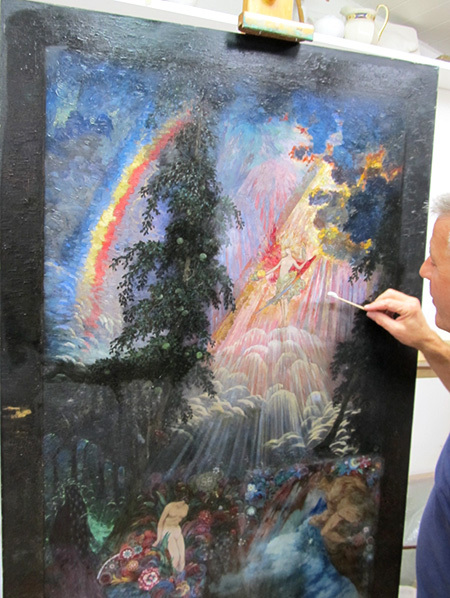 Photos below show various stages of the oil painting restoration with some close up details from the painting. 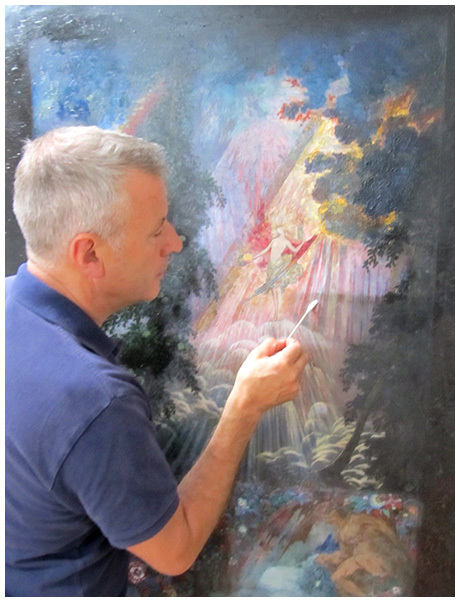 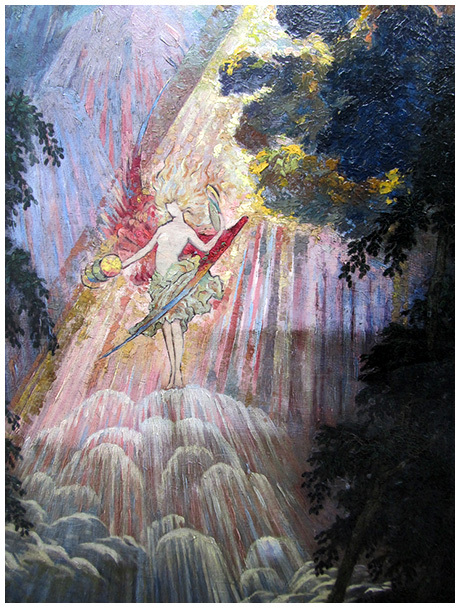 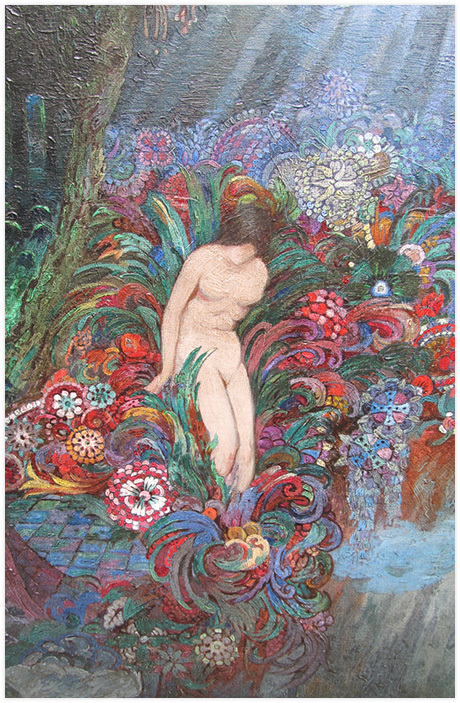 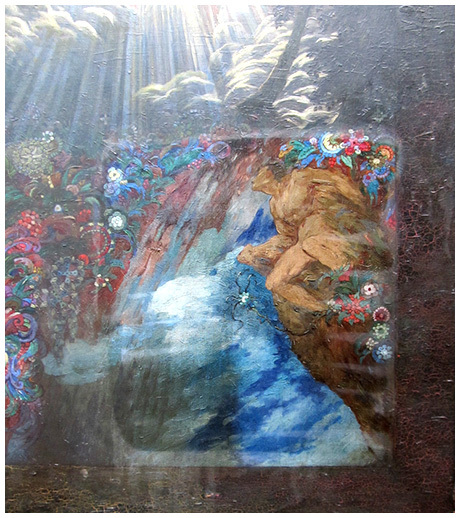 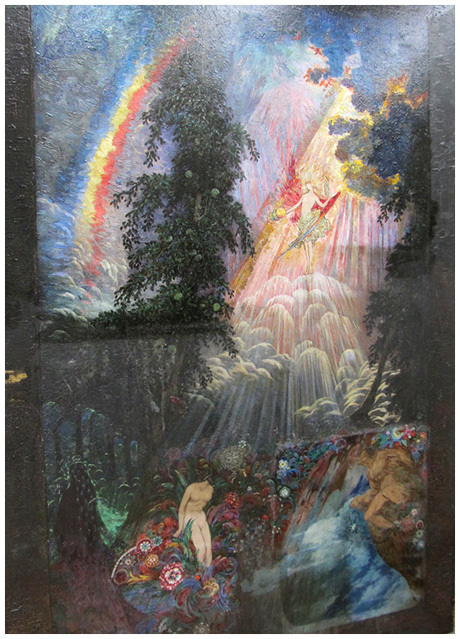 The restored painting can be seen at The Sidney Sime Gallery, Worplesdon Memorial Hall, Surrey.